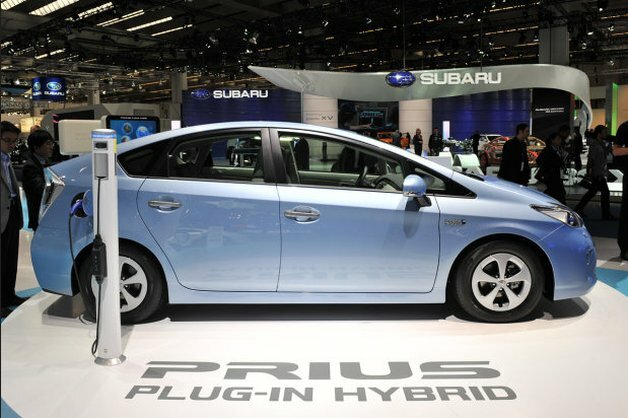 The Toyota Prius Plug-in Hybrid was the top selling plug-in hybrid vehicle in the United Kingdom, with 470 sold since being introduced to the market in July 2012. That means the Prius Plug-in Hybrid outsold the Vauxhall Ampera plug-in hybrid, Toyota says. The sales lead happened even though the Ampera was launched in the UK market three months earlier than the PHEV Prius. The Ampera is GM’s European version of the Chevrolet Volt. Toyota sold 12,840 hybrid vehicles in the UK, an increase of 15.2 percent over 2011. Adding three models to the lineup – the Yaris Hybrid, seven-seat Prius+ (aka the Prius V) and the Prius Plug-in joined the existing Prius and Auris Hybrid models – helped boost sales. The Auris Hybrid was launched in December and is the latest Toyota model to feature a full hybrid powertrain. It offers fuel economy of 76.3 miles per gallon (based on the UK’s fuel economy guidelines) and CO2 emissions of 87 grams per kilometer. Vaxhall is attempting to build consumer enthusiasm for the Ampera by offering UK residents a 30-day holiday-themed “satisfaction guarantee” on the Ampera. During that time, drivers can return the car with “no questions asked.” In March of last year, the Ampera and Volt had won the European Car of the Year Award, but it is taking some time to catch on in the UK.